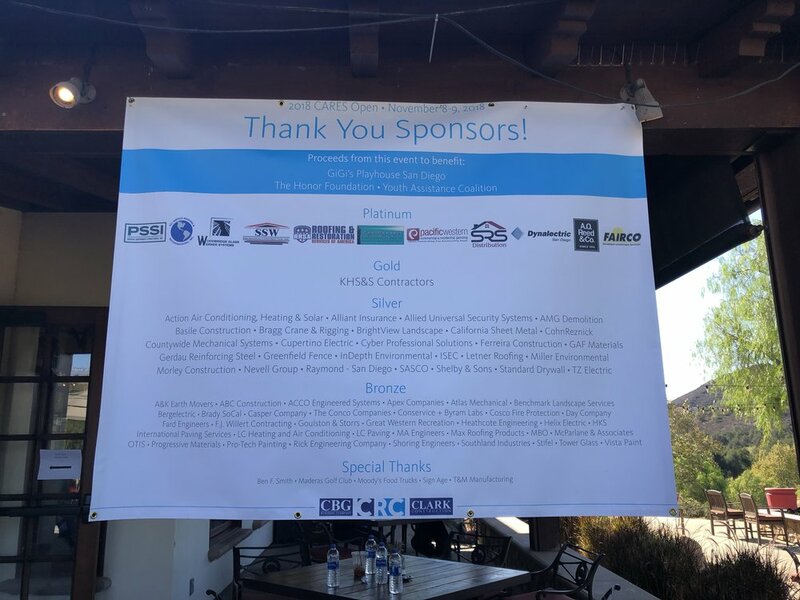 CBG Building Company, CRC Companies, and Clark Construction Group hosted the 14th annual CARES Open charity golf tournament at Maderas Golf Club. This year’s event raised a record-setting $361,000 to benefit organizations such as Gigi’s Playhouse, The Honor Foundation, the Youth Assistance Coalition (YAC), and other community-serving groups. This event marks over four million dollars raised for deserving causes since the inaugural 2005 tournament. Eighty sponsors including subcontractors, industry partners, and consultants partnered with tournament hosts to put on a successful day for more than 250 golfers. One of the tournament’s primary beneficiaries, YAC, takes a community approach to address youth homelessness in the area. Gigi’s Playhouse, an educational, therapeutic, and career-building center for individuals with Down Syndrome, was also a primary recipient of the tournament. The event supported The Honor Foundation, a transition institute for Navy SEALS and the U.S. Special Operations Community. The organization empowers men and women to tap into their maximum potential during and after their service careers. Hosts were honored to have a few active Navy SEALS in attendance of the 2018 tournament as players honored and celebrated Veterans Day. As with the tournament’s tradition, net proceeds from the event will continue to benefit other charitable groups throughout the year. The 14-year tournament has supported more than 120 charities made possible by generous industry partners.